In order to survive Breast Cancer (and any other illness, tragedy, trauma) it’s necessary to collect all of your essential ingredients in order to endure the situation at hand. A great dose of support is also needed as back up when your ingredients run low and you need a refill. A quick jog to the store won’t suffice. You need a team, a village, to count on and that’s where the internet, blogs, websites and support groups can wield a mighty sword to help you combat your ills. Humor, Love, Presence and Support. Which is all fine and good as words, but how do you go about stockpiling these main ingredients when you’ve just been blindsided by your diagnosis and news? I wish I could say it is easy, but it’s not. That’s where your determination comes in. You have to set your own mind to believing that you have the courage, the strength, the hope, and the inner power to endure. You have all of this inside ~ you simply have to tap into it. You must do the work. There’s no way around it. It is your mind that needs to have its power harnessed to heal your life. Humor, love, presence and support may come from the outside from which you can receive the stores from others. But you my friend, must believe that you are ready and worthy to battle and must prepare your mind, heart and soul to overcome the obstacles that are placed before you. So how do you do this? You harness your mind by feeding it positive thinking. You eradicate negativity from your life, like removing rose petals from a rose, you gently pluck the negative thoughts from your heart and in place, you add the essence of the rose ~ the inner beauty and strength that comes from a rose simply being a rose. Is this making any sense to you? Do you need concrete examples? Are you thinking I’m too pie in the sky for you? Too Pollyanna and yippy skippy? Not down to Earth enough? Watch for it. In the meantime, you need to get yourself ready. Enjoy this day. Get outside and look up to the sky. Breathe. Take 3 minutes to just listen to the wind, feel the earth under your feet and reconnect with nature. Find a bit of inner and outer peace in being present. You don’t have to do it for long. Just feel the peace. I’m holding your hand. You’ve got a friend in me. Take your time. Allow the grief and the healing to come to you and welcome it with your arms open wide. You can do this! 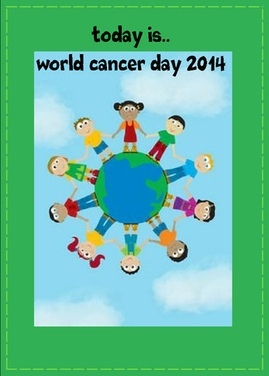 I post this today with sadness for I wish there weren’t a world cancer day. What an awful sentiment as it means that cancer affects our world and all its inhabitants. 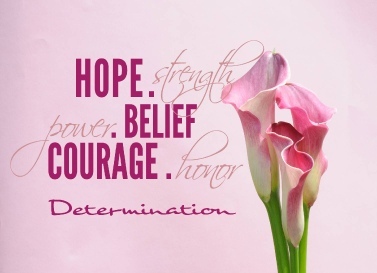 Most of us know someone who has endured cancer either directly or indirectly. Being a cancer survivor myself, I can tell you how much it affects every single aspect of our lives and continues to affect our lives for as long as we live. It matters not which cancer you are enduring for cancer is cancer. But what you do with it matters. 6. Remind them all that you are here to help.